Buy your new Nissan parts online here and get our special low web prices. 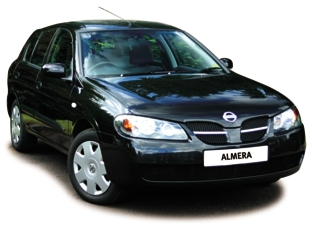 We sell new Nissan spares for all Nissan models through our huge online store with easy next day collection in our premises in Essex. And one thing for sure, parts for your beloved Nissan do not have to be expensive, or difficult to buy. 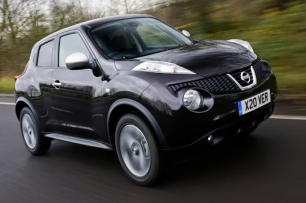 So before you think of going to the Nissan main dealers for the part you are looking for come to Car Spares Essex and check out our prices and range of stock here. Buying Nissan Parts in Essex should mean only one thing….a quick visit to the number one car spares shop in Essex Pound Lane Auto Discounts near Basildon. Whether you want Nissan Parts from way back in the midst of time, right up to the latest models out on the road of Essex today, then we have the Nissan Spares for you. We have a huge range of Nissan Spares and Service parts, sitting on our shelves ready to go, from Air filters, to Brake Pads, from Clutch Kits to Water Pumps. 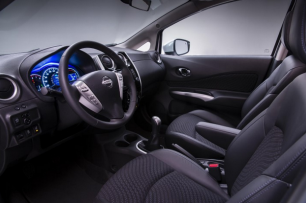 Everything that you would want to service your Nissan is not only easily accessible through us, but also at the best prices that we can offer. How Can I Get The Part For My Nissan Easily Then? Well the easiest way is to come in and see us, as we are open seven days per week. And I can assure you that there aren’t many car spares shops open in Essex on a Sunday surprisingly. So come in, bring the details of your Nissan with you…Registration Number is always a great thing to know, as well as engine size and make, and let us do the rest. Or if you want to just drop in and collect you spares and parts, then use our order forms, fill out all the necessary fields and we will do the best to find the part for you. Like we said most of the time we will have your Nissan Parts in stock, but if we don’t our supplier can normally get them to us within a few hours or definitely next day so using the order form is a great way to contact us. However we are well aware that being the number Car Spares Shop in Essex, brings a certain amount of busyness, and that is certainly the case on our phones. Sometimes they won’t stop ringing, so if you do phone and you find that they are engaged then we are dealing with customers face to face. We do want to deal with your query into Nissan parts for your vehicle, so leave it a few minutes and then try again. And normally we have cleared the shop of customers and can take your call. What Makes and Models Of Nissan Can You Supply Parts For? The following list is we feel pretty definitive and covers the majority of models of Nissan that might be sitting in your Essex garage requiring a part or two. But if you scan down this list desperate for a model that isn’t listed, then still give us a call, as even if we don’t supply Nissan parts for that model, its highly likely that we know a man who does. You aren’t around the car spares business for thirty years, and don’t get to build up a few connections in the trade. So simply contact us and we will be able to provide you with a quote for your Nissan Spares, and if you like the price, we can get them in for you. Once again, If you want to buy your Nissan Spares from us all you have to do is pick up the phone and dial 01268 728309 or use our order form by clicking here. Ok That List Looks Pretty Good So Where Can I Find Car Spares Essex For The Nissan Parts? 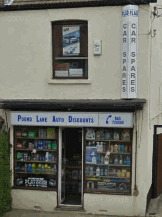 Car Spares Essex is the online route to Pound Lane Auto Discount which is based in Basildon Essex. Actually we are on the outskirts nearer to Bowers Gifford and Pitsea, but no one has ever heard of these places, so we state: Basildon. We are really easy to get to as we are situated just a five minute drive from anyone of the three main routes that transport traffic around the county of Essex. So just drive down the A127, A130 or the A13 and you will get to us. For detailed driving instructions to the home of Nissan spares, parts and accessories then simply click the link below and enter your home postcode into the field. And we will see you within twenty minutes or so. What Nissan Parts Can You Supply Then? Below is the list of items and products that we can supply for most vehicles, not just for the Nissan. In order not to make this page two miles long, we will simply say that some of them we will have in stock when you call, but others we will have to order in for you. That won't take too long, and most of the time we will have the spares within a couple of hours, but sometimes it maybe a day or two. However, if we are unable to locate them, we will advise you quickly in order for you to try elsewhere. So let us do the work for you, and hopefully you will come back to us again and again and again.